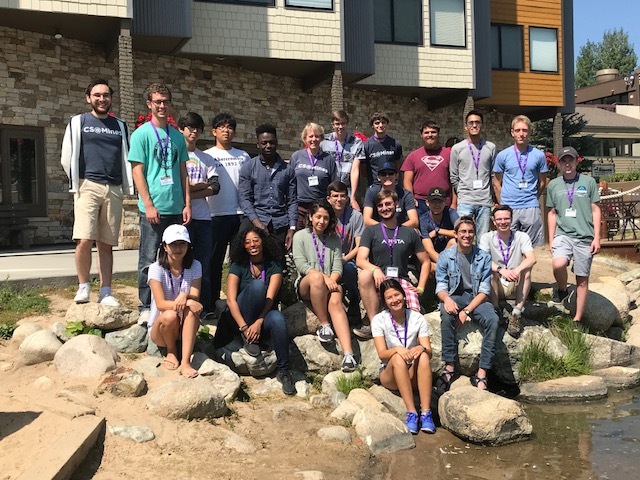 Path Ambassadors to High Success (PATHS) is a new scholarship program with funding from the National Science Foundation (NSF) that offers an exciting opportunity for academically talented, low-income students in Colorado to study Computer Science (CS) at the Colorado School of Mines (Mines). PATHS creates new and strengthens existing pathways for economically challenged, high-potential CS students to thrive at Mines. In addition to providing financial awards, PATHS empowers students through on-campus communities that provide a spectrum of activities, support services, career guidance, and university resources to encourage scholars through successful completion of an undergraduate CS degree. PATHS Scholars who successfully continue with the program will become mentors to new PATHS Scholars in later years. PATHS especially seeks worthy scholars from groups underrepresented in CS and STEM fields, generally, by ethnic/cultural heritage, gender, etc.